<== "Sacred to the Memory of the Immigrants to this valley who turned the wilderness into habitations." 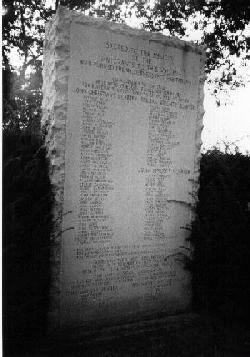 It lists the names of the original members who were assessed twelve shillings each to build the first meeting house. Administratively, the membership was divided into three Quarters headed by John Christian, William Wright, and John Finley. Christian's quarter included families named Black, Cowin, Wilson, Long, Bell, Alexander, Stewart, Patton, Hall, Robison, Cristian, Davison, McCollock, Caldwell, Armstrong, Rutledge, Henderson, Conegham, Thomson, Scott, Gamel, Ramsey, Preston, Maxwell, McDonal, Russell, Lewis, Hutchison, McClanahan, Brackenridge, and McCollock. Wright's quarter included families named Smith Hutchison, Palmer, Thomson, Moday, Frazer, Johnston, Logan, Henderson, Scileran, Black, Cear, McCune, Fergeson, and Wright. Finley's quarter included families named McClure, Turk, Gay, Finley, McCollock, Gelaspey, Edmiston, Campbell, Stewart, Peterson, Cear, Tays, Steel, and White. 1) Joshua Russell b. 1738 in Orange/Augusta Co., VA; d there sometime before October 15, 1793..
2) Andrew Jr. born October 28th 1740 in Cowpasture, Augusta County, VA. Andrew Jr. died in Knox County, TN. Andrew Jr. served in the Revolutionary War. Andrew married Elizabeth White (2nd marriage); children with White: Elizabeth, Matthew, Mary, Ann, William, John, Jean, James, Andrew, and Alexander. Andrew Jr. died in 1803 in Tennessee. Click HERE for his Last Will and Testament. 4) John Russell, baptized 24 Feb. 1748, died 15 April 1783. He married Elizabeth Swink. 5) Martha Russell, baptized on April 24, 1749. John born: 24 FEB 1747/48, d. 15 APR 1783 (Died about age 36). 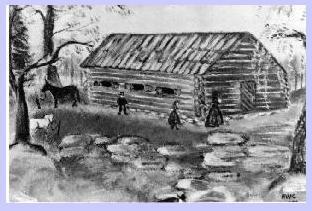 John Russell's Baptism: 24 FEB 1748 Tinkling Springs Meeting House Congregation, Fisherville, VA per http://freepages.genealogy.rootsweb.ancestry.com/~gwt1/n_e.html . Mary Russell, b. 14 Jul 1772, Shenandoah Co., VA, d. 18 Oct 1854, Campbellsville, Taylor Co., KY.
Naomi Russell married George Len Shultz as his first wife in March of 1814. 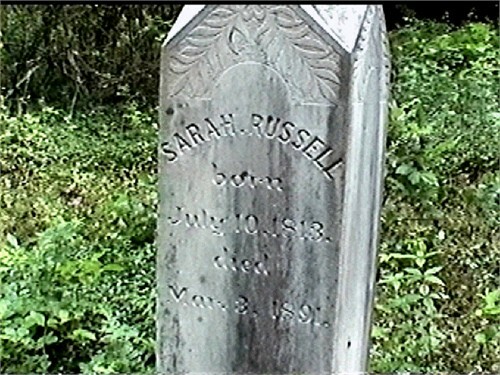 She died just a couple of years later on 2 January 1817 in Augusta County, VA. Their son, Cyrus Russell SHULTZ born in 1815, in Rockbridge County, VA, died 3 February, 1910, in Knoxville, TN. After Naomi died, Cyrus went to live with Naomi's brother, Robert RUSSELL, and Robert's mother, Elizabeth SWINK) RUSSELL. 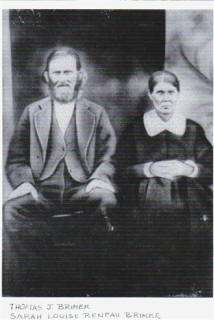 (Cyrus R. SHULTZ married Mary Jane WHITE on 3 January,1837, in Augusta County, VA, by the Rev. Stephen SMITH. 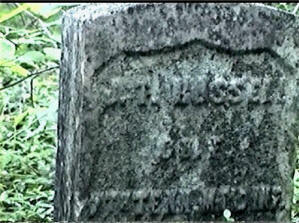 Mary Jane WHITE was born 26 April, 1818, in VA, and died 18 Dec.1888, in Knoxville. Mary Jane was the daughter of David WHITE. 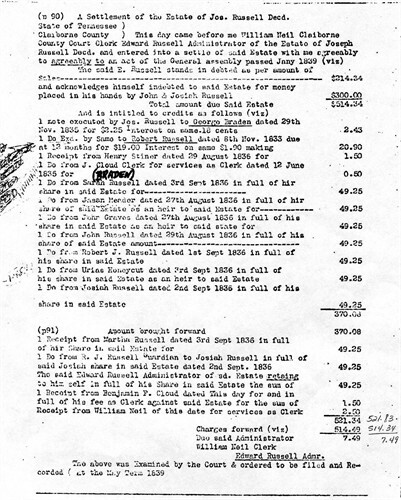 Robert RUSSELL was the guarantor of the marriage license bond). Cyrus and Mary Jane had eleven children. For more on this click HERE. Joseph Russell was born in 1775 in Augusta County, Virginia. He married Sarah Jane Braden on February 13, 1797 in Augusta County. They had eight children in 22 years. He died in 1830 in Tazewell, TN at the age of 55. 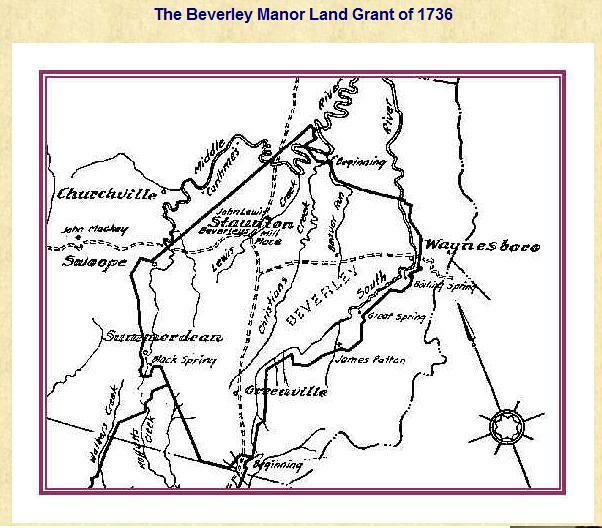 Sarah Jane Braden was born one year earlier than Joseph Russell, in 1774 in Augusta County. She died in 1837 at the age of 63. 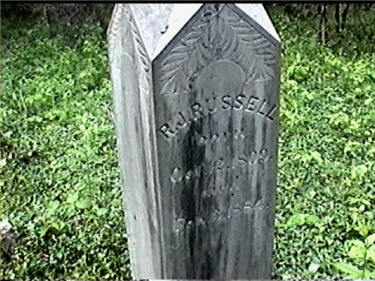 Robert J Russell was born on October 12, 1809, in Claiborne County, TN, the child of Joseph and Sarah Jane. He married Sarah Elizabeth Honeycutt in 1832. They had 19 children in 26 years. 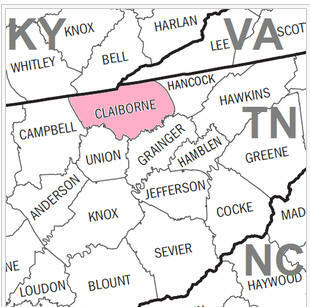 He died on February 3, 1884, in Claiborne County, at the age of 74, and was buried in Russell's Chapel Cemetery, Claiborne County. Sarah Elizabeth Honeycutt was born on July 10, 1813, in Tazewell, TN, the child of John and Sarah. Later she married William Henry Houston and they had nine children together. She died on March 3, 1891, in her hometown, having lived a long life of 77 years and many children, and was buried in Russell's Chapel Cemetery, Claiborne County, TN. Robert J. Russell (b. 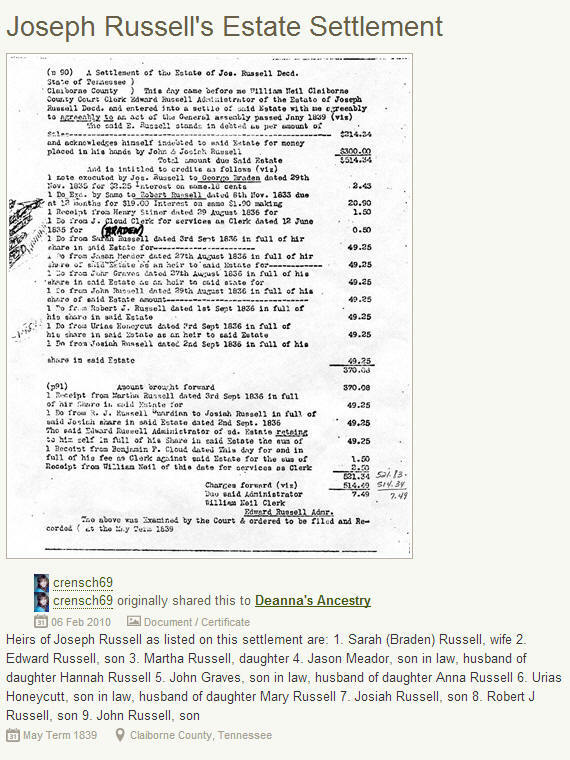 1809 d. 1884) was the son of Joseph Russell and Sarah Jane Braden; husband of Sarah Elizabeth Honeycutt. Sarah Elizabeth Honeycutt Russell (b. July 10, 1813 d. March 3, 1891), daughter of John Honeycutt and wife of Robert J. Russell. 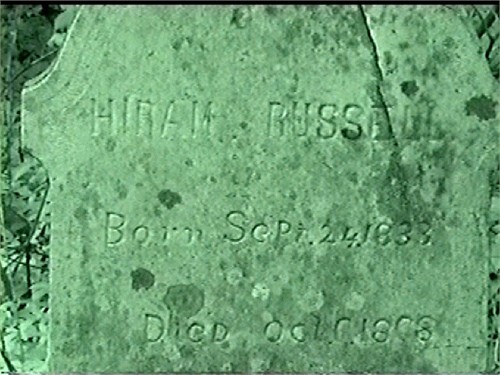 When Henry Russell was born in October 1841 in Tazewell, TN his father, Robert, was 32 and his mother, Sarah, was 28. He married Jane "Jennie" Rouse on October 20, 1861. They had 12 children in 24 years. He died on August 17, 1910, in Claiborne County, TN at the age of 68. "Jennie" was born on January 6, 1841, in Tazewell, TN, a bit older than Henry, the child of Alexander and Mary A. Woods Rouse. 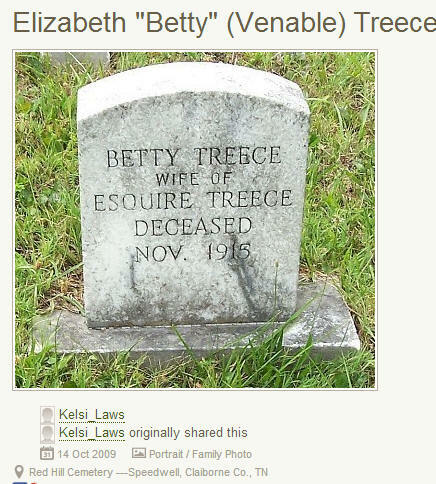 She died on March 10, 1915, in Claiborne County, Tennessee, at the age of 74. 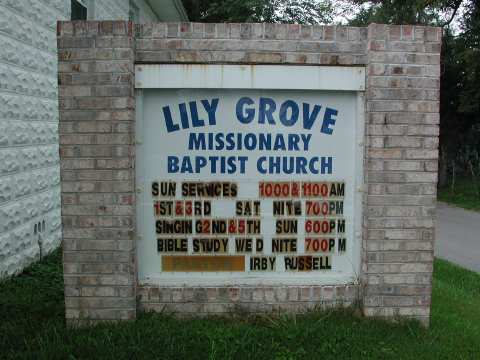 Picture was taken for the paper for being founders of the Lily Grove Methodist Church. Standing from L-R: Joseph Taylor "Joe" Russell, Thomas Jefferson "Jeff" Russell, Robert Franklin "Doc" Russell. Sitting from L-R: Henry Russell, Alvis Brogan (1st Cousin), Hiram "Harm" Russell. 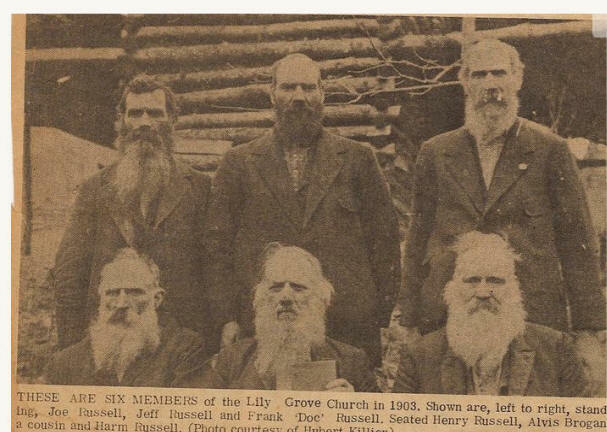 Picture from Ancestry.com. NOTE: It appears that these gentlemen did not leave their old church happily and changed to a new church and a new denomination. This picture would have been taken in 1898 or earlier even though it was not published until 1903. 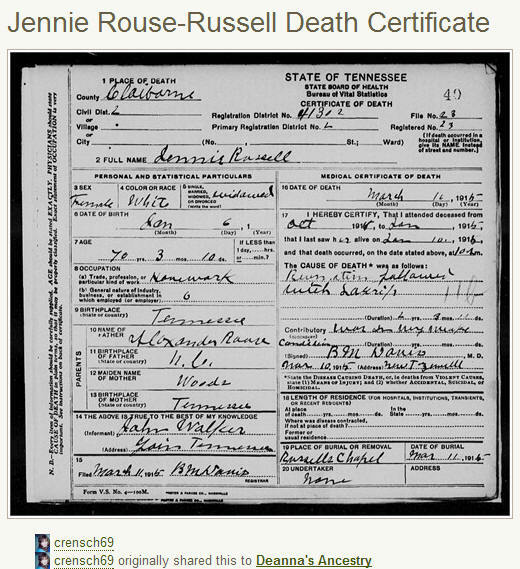 Death Certificates of Henry Russell, who suffere d from heart failure and of Jennie Rouse Russell, wh o died of rheumatism and complications. 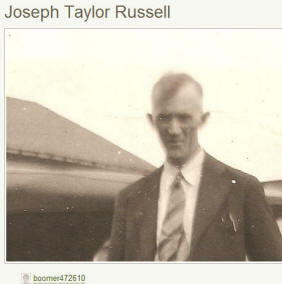 Joseph Taylor Russell was born on August 11, 1866 and died April 21, 1947. 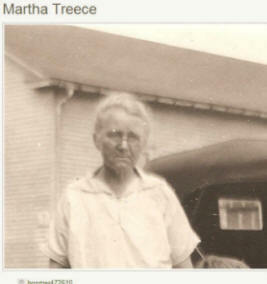 He grew up to marry Martha "Marthie" Treece who was born Jan 6 1867 and died Oct 5, 1947. They had 10 children in 13 years! They died of "old age". Another 10 years pass and Joe is still farming in Claiborne TN. His son James is now teaching students instead of being a student! All the kids are still single. There is now another child listed, Sarah E. who is 8. Interestingly in 1920 census Joe is now a furniture cabinet maker. He and Marthie are in their 50s. They are living at 317 Churchwell Avenue in Knoxville (which will become the home of John Wesley and his wife in the next generation). Daughter Vina is a seamstress at a knitting mill, which is a typical job for that time an d area. John is, of course, a railroad brakeman, and John and his wife Cora live with Joe and Marthie. Also living with Joe and Marthie are son Landrith who is a railroad fireman and Walter "Brownie" Russell who works, perhaps, in the same knitting mill as Vina, as does daughter Sarah who is a seamstress at a knitting mill. An interesting family memory is that both Joseph and Martha could speak German and "yelled" at each a lot - loud but loved by John Wesley Russell. His sister Vina took after her parents with their yelling habit! 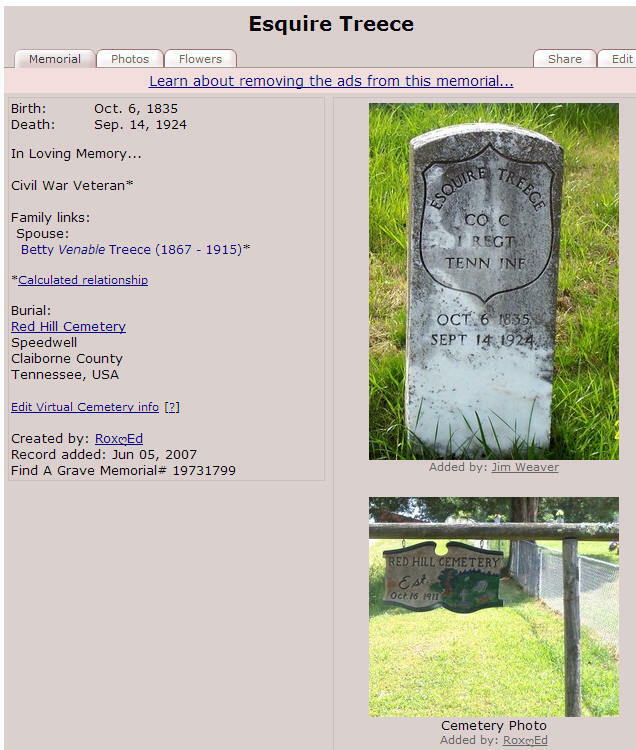 They are both buried at Bookwalter Cemetery in North Knoxville TN Plot: Section I.
John was self-educated and worked for many years as a freight conductor for Southern Railway. During the time of WWI draft registration card, John was living at 317 Churchwell Av. in Knoxville TN and was a knitter for Standard Knitting Mills at 1400 Washington St in Knoxville. He was single and was physically disqualified for WWI military duty. 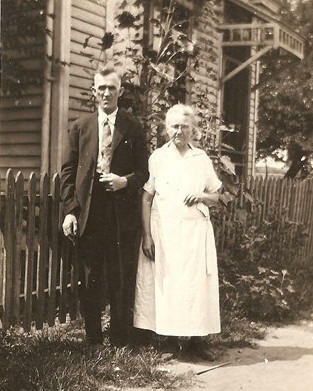 On December 15, 1919 he married Cora Brimer in Knox County TN; he was 25 and she was 21. In 1920 and 1930 they lived at this same address. In 1926 he was a brakeman for Southern Railway. We know from the 1930 census that he and Cora owned this home and lived there with their daughters Marion who is 8 and Maxine who is 5 and baby Wanda Lou who is 2 years old. In 1930 John was working as a flagman for the railway. 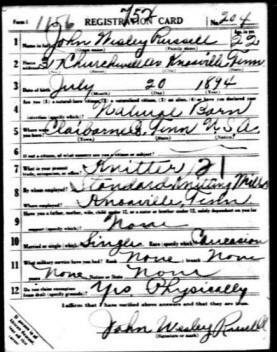 There are lots of Russells listed on the 1930 census page including John's dad, Joseph T. Russell who is a dairy farmer and mom Martha Russell who live at 319 Churchill. 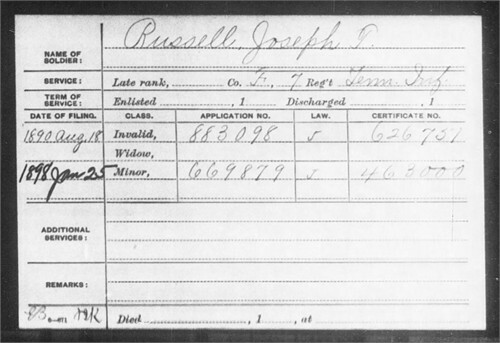 Another Russell on the same street is Walter Russell, a machinist, and his wife Opal and their son James Russell. They live at #323 with the Bowman family. Walter and Opal are the brother and sister-in-law of Frank Bowman (head of household). Melvina A. Bowman was born a Russell. The Bowman/Russell household is next door to the John Wesley and Cora Russell household. Per ccrandall55 on Ancestry.com, this is Thomas Jefferson Brimer and 2nd wife, Sarah Louise Reneau Brimer. Below is the tombstone of Joseph Taylor Russell in the Russell Cemetery, Lily Grove, Claiborne, TN which is noted as: J T Russell Co F 7 TN INF. (See Pension Card for Joseph Taylor Russell above) This Joseph Taylor Russell is the nephew of Joseph and Marthie Russell. Picture from Ancestry.com submitted by crensch69 of Fontana, CA. Copyright ©2010-2016. All Rights Reserved.